Santa Claus has fallen asleep and Christmas is coming. There is no time to rest so we will have to wake him up so he can return to work and so all the children receive their gifts on the twenty-fifth of December. To awaken him we will have to activate the mechanisms that help us to make the snowflake reach the head of Santa Claus. The blow will make him wake up and we will have overcome the level. If you want to make it perfect, you will have to devise it so that the snowflake passes through the three stars of each level and thus be able to collect them before it reaches Santa Claus. 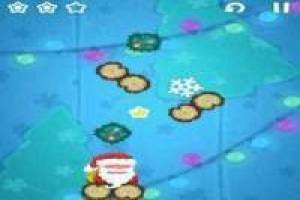 Show great skill in this fun Christmas game. 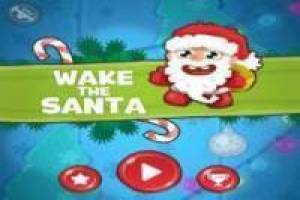 Enjoy the game Wake the Santa, it's free, it's one of our Christmas games we've selected. Disney Princesses: Remembering Christmas Santa Run: Distributing Gifts The Santa Claus Toy Factory Dress up the Disney Princesses for Christmas Mischief in Christmas Christmas Around the World Santa Claus Tower Christmas: Making a snowman Santa Claus: Coloring Book Christmas Draw Christmas sleigh Thief or Santa Claus?